08.13.15 | Anti-Bullying Blog | Comment? A summary of the responses received to the Department of Education’s consultation on Addressing Bullying in Schools has been published online and it shows strong support for the proposals. Undertaken between 5 January and 27 February 2015, the consultation attracted almost 5000 responses, one of the highest response rates for any public consultation in Northern Ireland. Even more encouragingly, over 87% (4221) of responses were from young people in our schools. The provision of a legal definition of ‘bullying’ for use in all schools in Northern Ireland. 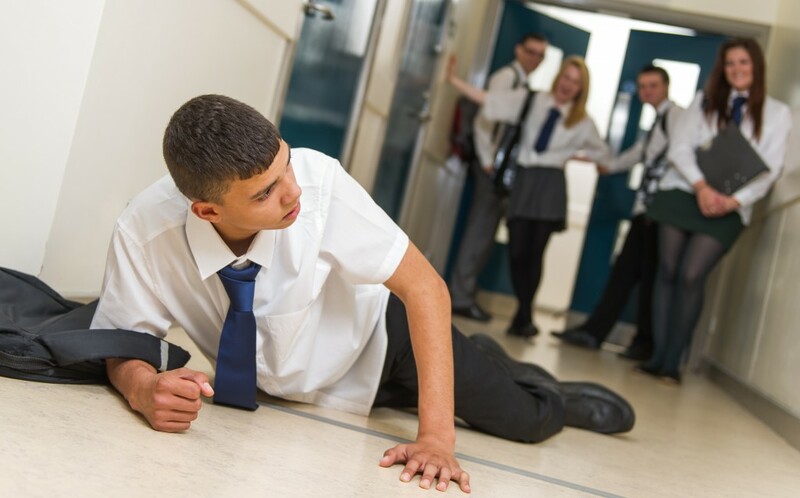 A requirement for schools to record bullying incidents, including the motivation, response and outcomes of all bullying incidents inside school hours. The requirement for Board of Governors to appoint one or more members to have responsibility for school anti-bullying policy and its implementation. The consultation also sought views on where schools should be expected to take action in regards to incidents of cyber bullying. There was strong support across the board for the introduction of a legal definition of bullying for use in all schools. 77.3% of respondents agreed or strongly agreed with this proposal. However, there was a difference in opinion on what that definition should be. While many found the definition provided by DE as easily understood, others found it complex. Some suggested retaining a definition already in use, such as that provided to schools by NIABF. Two-thirds of respondents agreed or strongly agreed that repetition is a key aspect of a definition of bullying. Given the limited consensus on what the definition should be, it is not surprising that almost 90% agreed or strongly agreed that guidance to supplement the legal definition of bullying should be issued. The same number also agreed or strongly agreed that the Department should issue greater guidance on the core content of anti-bullying policy. 84.5% of respondents agreed or strongly agreed with the proposals that schools should be required to record the motivation, response and outcomes of bullying incidents inside school. 65.2% agreed or strongly agreed that this should be done using an IT system. However, both teachers and pupils raised concerns about who would have access to the data, data protection and confidentiality issues and the potential for the unintentional creation of ‘league tables’ of bullying. More than three-quarters agreed or strongly agreed that the recording of bullying would be beneficial to schools in monitoring the success of their anti-bullying policies and procedures, noting that better recording processes will lower tolerance levels of bullying generally. Some voiced concerns about how this would be enforced, fearing that some may ‘turn a blind eye’ to incidents in order to reduce statistics. More than four-fifths (82.9%) agreed that the Board of Governors should appoint one or more members to have specific responsibility for overseeing anti-bullying policy and its implementation in school. Many schools and organisations felt that this should be combined with the child protection role on a Board, as these individuals already have expertise and experience in this area. However, as the role of a school governor is a voluntary position, many had concerns about the capacity to devote the time to meet these statutory requirements, making it more difficult to recruit suitable governors. The consultation also asked when schools should have responsibility for dealing with cyber bullying. There was broad agreement that schools should have responsibility during school hours (91.3%), when using school equipment (92.4%) and when on school property (94.5%). However, there was a strong difference in opinion on schools’ responsibility at other times, including outside school hours. Overall, 53.7% disagreed with this proposal. Almost 80% of teachers disagreed, as did just over half of pupils (51.5%). Some pupils raised concerns about privacy outside of school hours and how this would be impacted upon if schools had this additional responsibility, while school staff and other organisations worried about teachers’ capacity to ‘police’ social media. However, almost two-thirds of parents agreed with this proposal, demonstrating a clear difference in opinion between teachers and parents. All respondents agreed that further guidance was needed, with teachers noting that any response to cyber bullying needs a combined approach from schools, pupils and parents. “On behalf of the NI Anti-Bullying Forum I would like to welcome the publication of the Summary Report of Responses to the Consultation on the draft policy proposals Addressing Bullying in Schools. It is encouraging to see such a high number of responses to the consultation, and it is particularly significant that of the 4939 responses received, 4221 (87%) were from school pupils. The consultation highlights the need for a common definition, and more importantly a common understanding, of bullying amongst young people, parents and schools. This year’s Anti-Bullying Week campaign focuses on this, asking young people to think about what bullying means to them. For more information on the week of activities click here.